We want to share our love of jewellery making and show how accessible it can be to everyone. It's a great hobby to get involved with and can really set your creative flairs alight! There are hundreds of possibilities that can be achieved with just a few simple components. 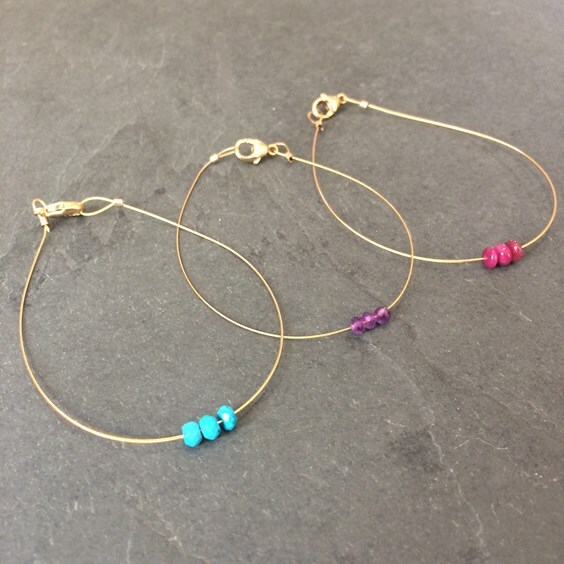 Not only does jewellery making create a fun and exciting project for the school holidays but it also results in something that can be worn with pride in the long run. 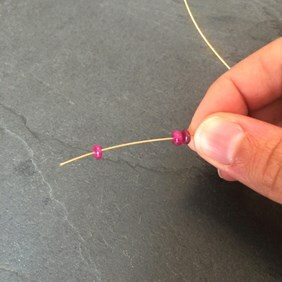 This beautiful little DIY friendship bracelet is really easy to create. 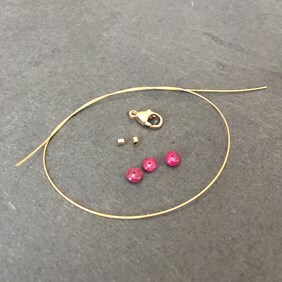 Choosing your favourite gemstones or even adding your own personal twist makes it the perfect project for a creative day during the summer holidays. 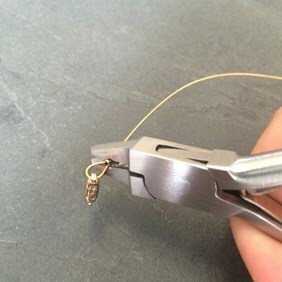 It does require some tools to help you both cut the wire and squeeze our crimps together. 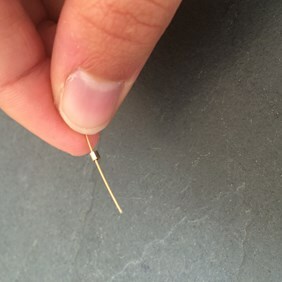 You can use our suggested tools or if that is not an option there are household tools that are able to do the same job. Scissors and Pliers would do fine. The great thing about this design is that it makes the ultimate friendship bracelet - and thats not restricted to just two friends! Simply chose the gemstones to best match the personality of each friend. We have a selection of gemstone beads that work really well with this style. Each gemstone comes with its own history, full of spiritual meanings, healing properties and different energies. 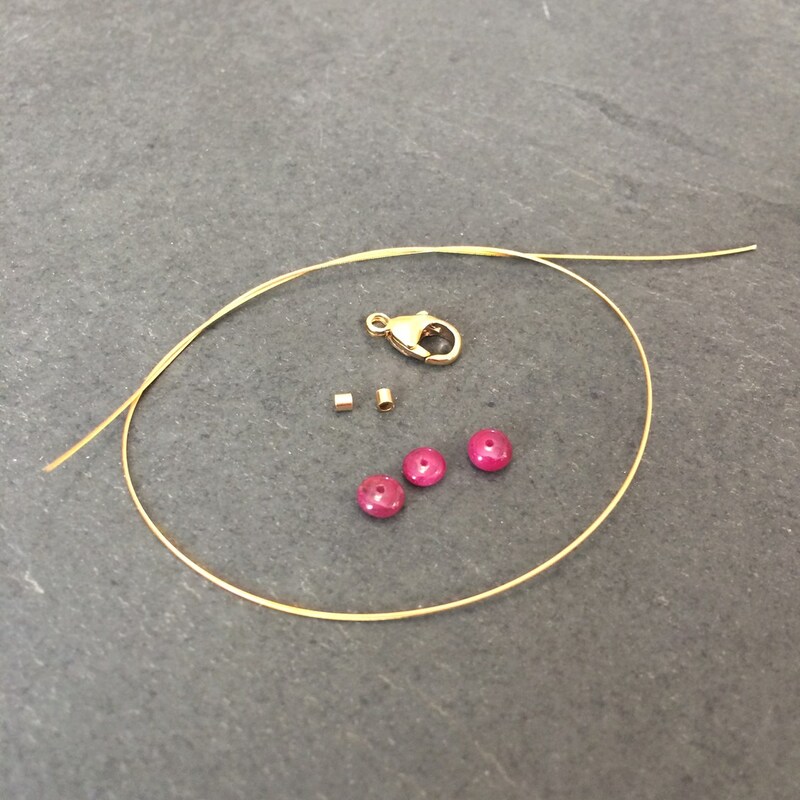 Here our selection gemstone beads that we think would work best with this design and the properties they are believed to have. B352 - Peridot :The birthstone of August. Alleviates jealousy, resentment, spite and anger and reduces stress. It enhances confidence and assertion without aggression. 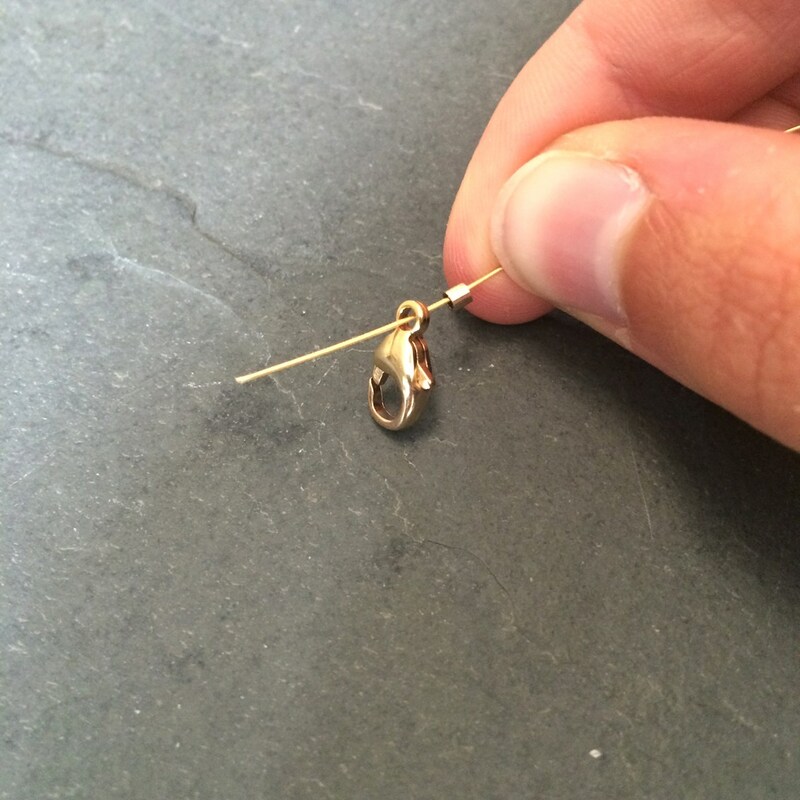 Read more about Peridot in our August Birthstone blog post. B2 -Aquamarine: The birthstone of March. Gives you courage, helps to overcome judgmentalism and encourages one to take responsibility for oneself. B162 - Sapphire: The birthstone of September. Known as the wisdom stone. Calms the mind and releases unwanted thoughts. B121- Garnet: The birthstone of January. Inspires love and devotion. Strengthens the survival instinct is known as a protective stone that warns you of danger. B360- Quartz: Aids concentration and unlocks memory. Known as a 'master healer' Quartz can be used to help with any health condition. B56 - Tanzanite: A calming and soothing stone that facilitates communication and encourages insights. B391 - Turquoise: Encourages friendship, promotes leadership, aids in luck, success, ambition and creativity. B214 - Labradorite: Stimulates intuition and psychic gifts, including 'right timing'. Banishes fears and insecurities. B349 - Amethyst: Helps one feel more focused and enhances stimulation of new ideas. Facilitates decision making and common sense. B50 - Ruby: Encourages passion for life, motivates and brings about a positive and courageous state of mind. 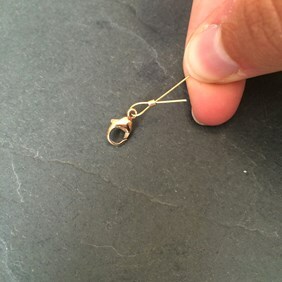 Measure the wire to fit your wrist, with a few extra cm for work room. Cut the remaining wire off with Heavy Duty Side Cutters or scissors. Thread your beads on to the wire - we used three, but use as many as you wish! Move the beads to the middle of the wire and then thread on one crimp a few cm down the wire. 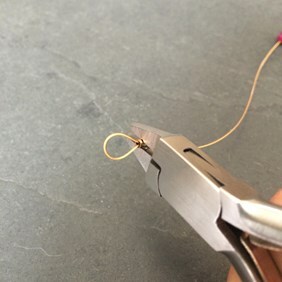 Loop the wire to thread the end through the crimp. 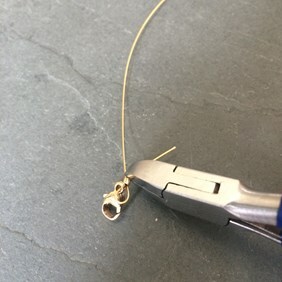 Do not worry if the loop starts off too large, you can adjust this once the end of the wire is through the crimp by pulling it up. 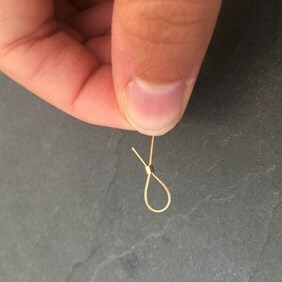 Ensure the loop has enough room to allow your clasp to connect. 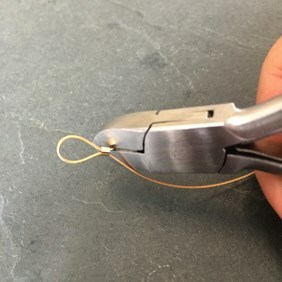 Once you have adjusted the loop to the correct size use our magical crimping pliers or any other tool strong enough to pinch the crimp together. 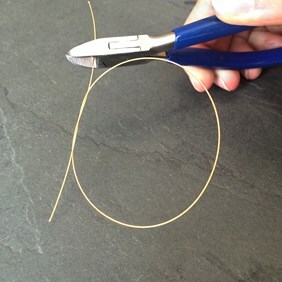 With Heavy Duty Side Cutters or scissors cut off the excess wire. 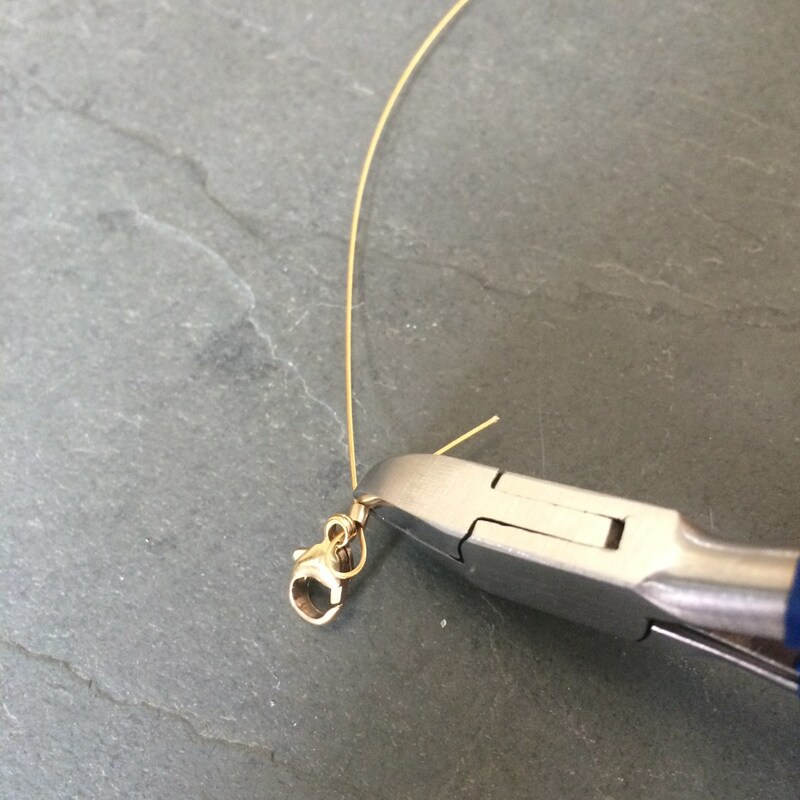 On the other end of the wire, first add the other crimp and then add one clasp. Repeat the last process in creating a loop by threading the end of the wire through the crimp. 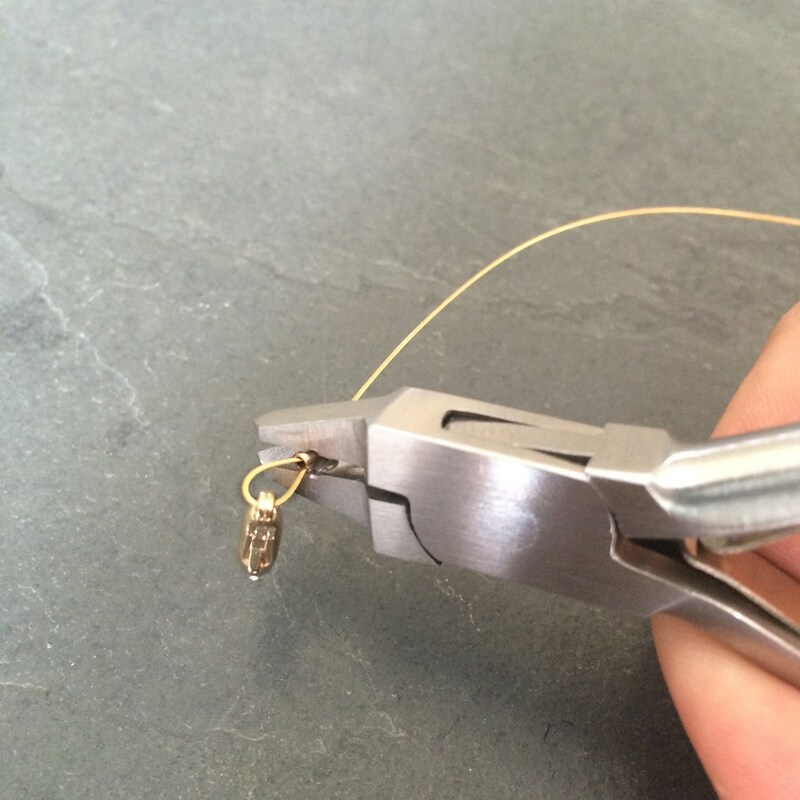 Adjust the size of the loop accordingly and push the crimp shut with the tool of your choice. Cut off the remaining wire. Your friendship bracelet is now finished! 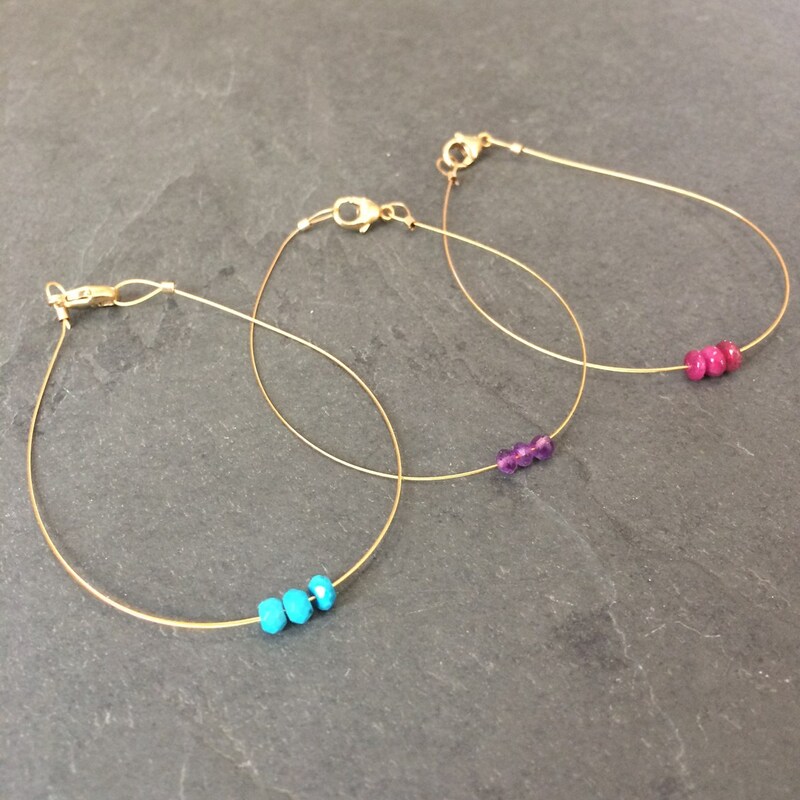 Wear with pride and show off the meanings behind your gemstones. 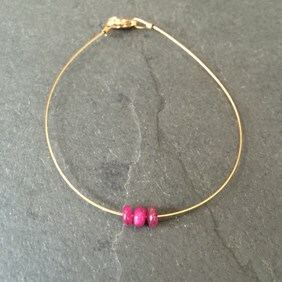 We think that the simplistic stye of this bracelet looks really pretty but there is also so much room for more! You could add more beads, or more wire strands or different kinds of charms. To view our selection of charms click here. If you make this bracelet we would love to see! Tag us on Facebook, Instagram, Twitter, Google + or Pinterest.